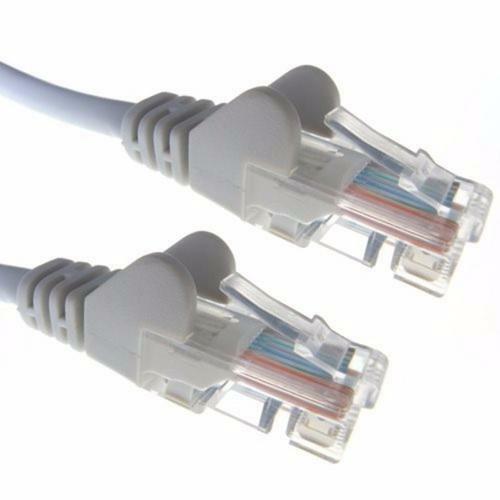 RJ45 Cat6 Network Cables can be used to connect any network enabled device such as a PC, Laptop, Printer, Scanner, BluRay Player or Games Console (Xbox 360, Xbox One, PS3 and PS4) into a Modem or Router to allow the transfer of data to and from the device at up to a speed of 1 Gbps (Gigabit per second). These cables are ROHS and REACH Compliant. These are genuine Cat6 cables and therefore pass the renowned Fluke Test. We also stock a wide range of additional data accessories such as Network Switches, Patch Panel, Cat6 Couplers, Cat6 Outlets to suit this cable.